Scanspeak 23W/4557T00 Sub-Woofer - Revelator Range. 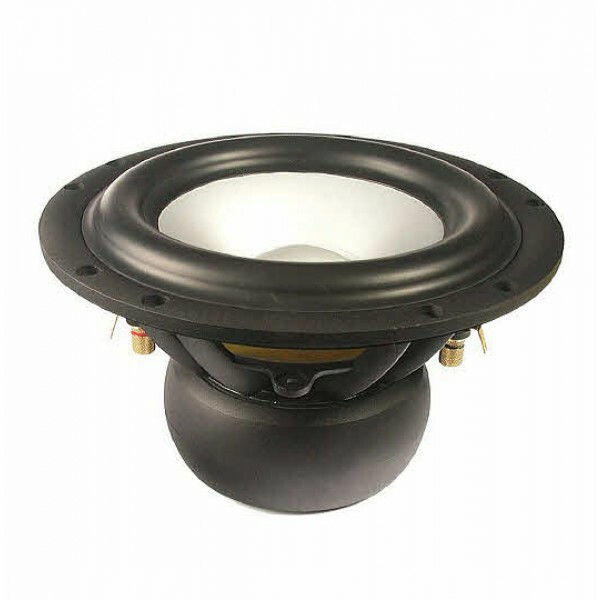 Revelator subwoofers are drive units that feature very rigid aluminium cones with a strong wide frequency pure piston action. Powered by the Symmetrical Drive SD-1 Motor design, a low-loss linear suspension, the combination gives very low distortion and a famously smooth frequency response which has made this top audiophile range uniquely successful. 4 Ohm 9" unit. Silver anodised rigid aluminum cone. Die-Cast Aluminum Chassis vented below spider. Low Throw Rubber surround, Gold binding post terminals, silver anodised aluminum cone, large Rubber Boot ferrite magnet system and a very high output.